Today Apple had begun sending out invitations to a special event dated for October 4th. The invitation has one simple line “Let’s talk iPhone.” Many people, including me, think that this statement is talking about the rumored Voice-Assistant that will be a dominant feature in iOS 5. We will finally find out what Apple did with Siri. The invitation also includes 4 icons; Calender showing the date October 4th, Clock showing the time as 10 A.M. sharp, Maps with its usual icon, and the Phone icon with a “1” badge. Apple released Press Info on Tuesday telling the Public that Steve Jobs along with other Apple executives will be unveiling Lion, iOS 5, and iCloud at the opening WWDC Keynote on June 6 at 10:00 AM Pacific Time. With this news there is one surprise, three clarifications, and one disappointment. The surprise is that Steve blogs Jobs will be the Keynote presenter even though he is on sick leave! A clarification is that Lion will be announced more publicly and most likely be given a date and price for it’s release at WWDC. Also that the next generation of iPhone Software will be called iOS 5 and be announced to the Public along with it’s release date. Another thing Apple might do for iOS Developers is give them a Gold Master version of iOS 5 immediately, before the real version is out. Last clarification is that after hearing so many rumors that Apple will release cloud service and what it might be called, Apple finally confirmed that it will be called iCloud. But we still don’t know the features of iCloud so we will have to wait till Monday’s keynote. Unfortunately Apple said nothing about a new iPhone. Other Apple-related blogs say that the next iPhone won’t be released until the September music event. This is ending the tradition of announcing the iPhone at WWDC which Apple has been doing for the last three years. 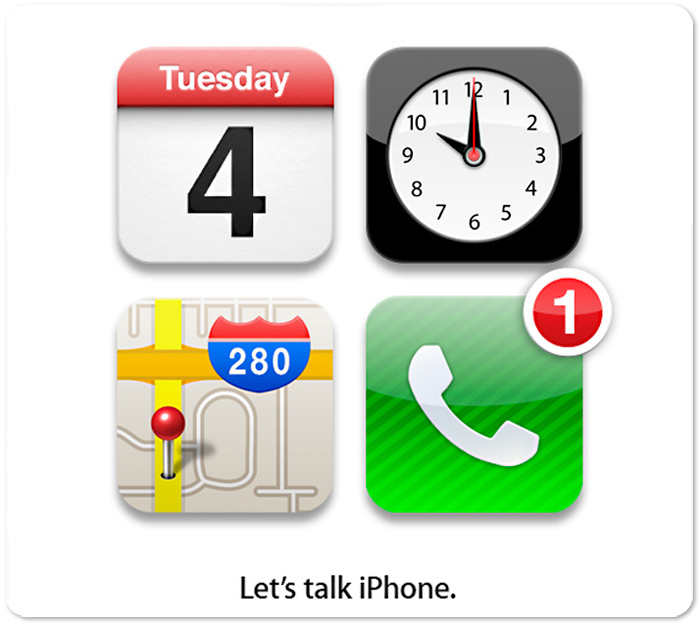 Hopefully Jobs’ “one more thing” might be the iPhone 4. But this is the only information that we have now. All we can do now is speculate or wait till Monday to get all the information. What’s Up for Tomorrow Apple Special Event? I’ve been wondering on what Apple will show at tomorrows Special Event So here is the list of what I think. Steve Jobs is currently on a Medical Leave, but there are rumors that he will still be the presenter tomorrow. Otherwise Steve Jobs will talk about how iOS is doing in the market,stat’s, diss competition and other stuff like that. Also rumored that Apple $99 service Mobile-Me will now become free to all users. Those would probably be the main things tomorrow, unless Steve Jobs has his normal ” One More Thing… “. Hopefully. Well come back tomorrow to see how Apple has surprised the world, again. Today Apple began to send E-Mails to Technology Pundits, Gurus, and of course the press for a Special Event scheduled for March 2nd. The invites have a calender picture for March 2nd peeling back to a picture of an iPad. Below there is a line that reads, “Come see what 2011 will be the year of.” I still have no idea what they are going to release can anybody give me a clue? Unfortunately, Apple has forgotten to send me an invite, maybe next time. People are going to be speculating more than ever on what the new iPad is going to have… or not going to have. The event is going to be held at the same place where the original iPad was announced, The Yerba Buena Center for Arts. Kara Swisher predicted yesterday that there would be a March 2nd Event for the iPad 2. I wonder where she found that out even before Apple sent out there invites.